← Can Running Cure Depression? In this episode of Health News, I want to talk about a new study that just came out in the American Journal of Clinical Nutrition. 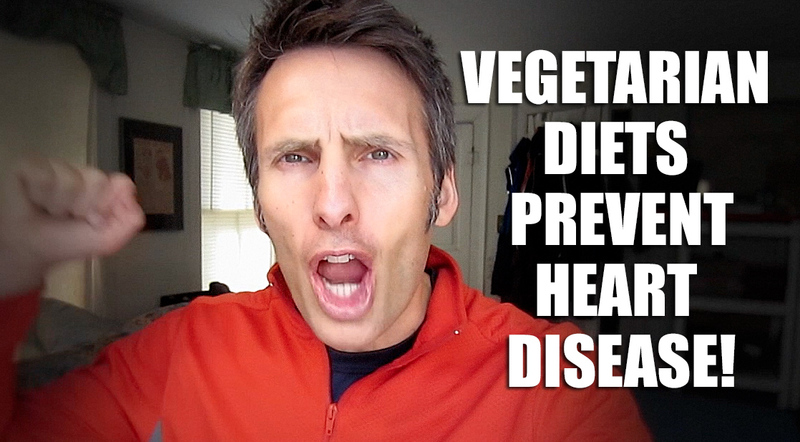 This study looked at vegetarian diets and heart disease risk. This study (known as the EPIC study), conducted by scientists at Oxford University in England, looked at the diets of nearly 45,000 people – 34% of which were vegetarian – and compared heart disease risk (as well as other markers of health). What they found was that the vegetarians had 32% less risk of heart disease than did their non-vegetarian counterparts in the study. While most vegetarians and vegans are already aware that health improves upon switching to a plant-based diet, the rest of the country has their doubts. This study is one more straw of evidence on the camel’s back. What I find most interesting is that this 35% reduction in heart disease risk was achieved on a standard vegetarian diet – which might include lots of refined sugars, refined grain products, heated and processed fats, and very little fresh fruit and vegetable consumption. 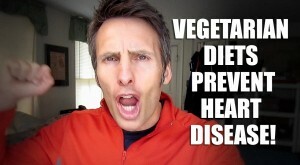 It would be interesting to see this same study conducted with subsets of vegetarians, i.e. vegans, raw vegans, etc. This entry was posted in Diet Tips, Health, In The News, Nutrition, Scientific Studies and tagged Diabetes, Diet, Heart Disease, Stroke, Studies, Vegan, Vegetarian. Bookmark the permalink.